Where Did I Get It? I borrowed a copy from a friend. This last bit is said in a hushed voice, but hearing isn’t one of my problems. I wish Carla wouldn’t tell me these things; they leave me with an uneasy feeling long after I’ve forgotten the stories themselves. I shudder and look out of the window. I can’t think which direction Weymouth is in. A bird flies by. My Review: I don’t really know where to start with this review. 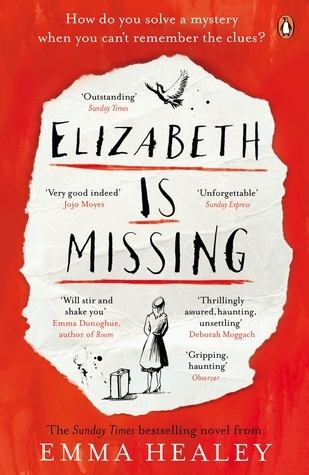 Elizabeth Is Missing is a book unlike any other I have read before. Maud, the narrator, is unreliable due to her dementia which seems to worsen through the story, but is the most delightfully sweet character. Seeing the world through her eyes was fascinating and a little terrifying. Somewhere in Maud’s memory is the key to her sister Sukey’s disappearance, clues that never got pieced together in the right order at the right time, but the disappearance of her friend Elizabeth triggers recollections that begin to form answers to questions long forgotten. The logic that her mind follows throughout events as she forgets things, half-remembers other things, muddles them up and then produces an answer that is utterly unrelated to the original issue but makes a strange sort of sense regardless was amazing but scary. 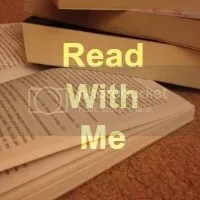 Maud’s clear recollections of the past, bleeding into the fuzziness of her present are beautiful and the two stories running alongside each other – her past and her present – were heartbreaking. Sukey is missing. Elizabeth is missing. Two mysteries, one forgotten by other people years ago, one forgotten repeatedly by Maud herself every single day. Through Maud’s daughter, Helen, you see how tough it is for families to live through dementia – the frustrations, the worry, the fear and the sadness. But you also see how healing love and patience can be.